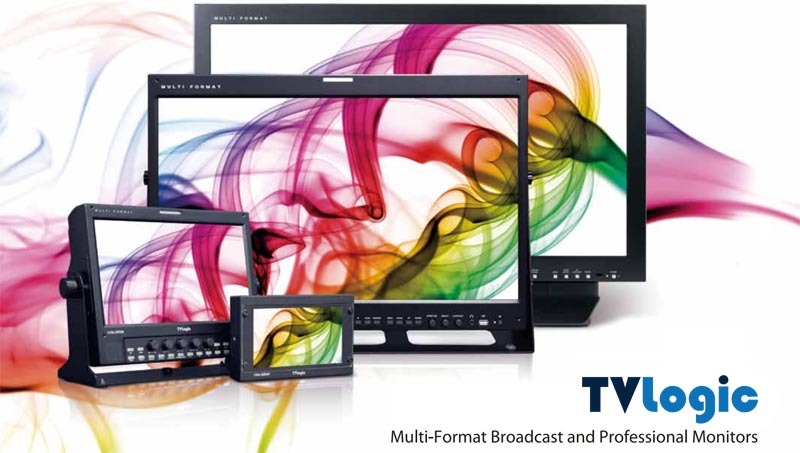 TVLogic LVM series of professional broadcast video monitors. Award winning designs, feature packed, range of sizes and functions. 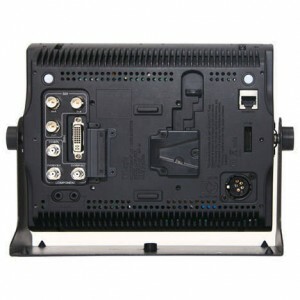 TVlogic LVM-070C UK List Price: £755 +VAT. 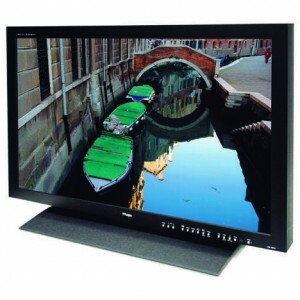 TVlogic LVM-074W UK List Price: £1,729 +VAT. 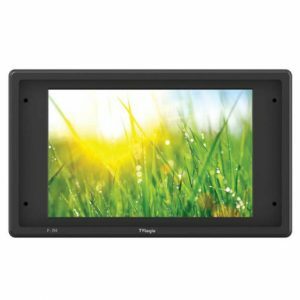 The TVLogic LVM-074W is a high-resolution (1024×600) 7” LED backlit LCD broadcast video field monitor housed in lightweight (600 grams) yet durable magnesium alloy case. 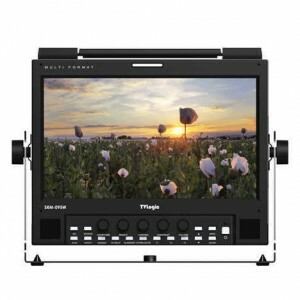 Perfect for on-set mobile monitoring when used with TVLogic’s wireless video transmitter and receiver packs. 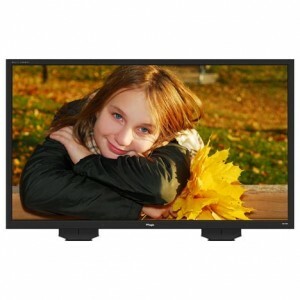 The LVM-075A provides an outstanding picture quality with a Full HD resolution of 1920 x 1080. The LVM-075A supports for diverse Log files for cameras and Rec.709 colour gamut. All the professional features including Temperature Adaptive Colour, Waveform/Vectorscope, Focus Assist, Audio Level Meter, UMD and Closed Captions are also supported. Please note this model ships with a protective screen filter as standard. 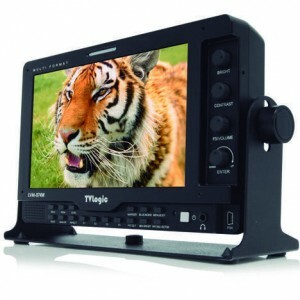 TVlogic F-7H UK List Price: £1,750 +VAT. 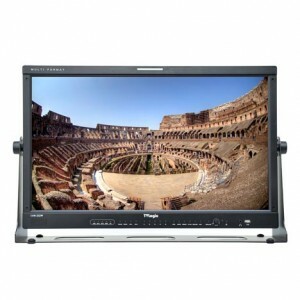 The TVLogic F-7H is a Full HD resolution (1920×1080), ultra high brightness (3600 nits) 7” LCD broadcast video field monitor. 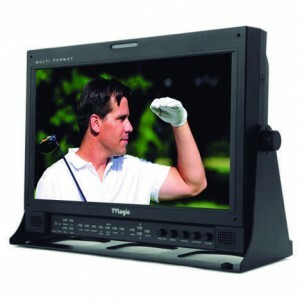 Perfect for outdoor and on-set mobile monitoring in high ambient light without the added bulk of a sun-hood. 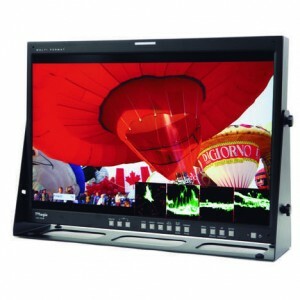 TVlogic SRM-074W UK List Price: £2,423 +VAT. 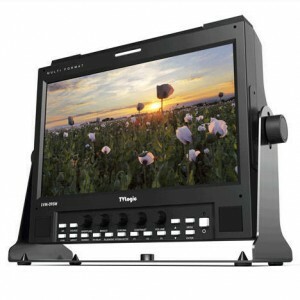 The TVLogic SRM-074W is a high-resolution (1024×600), high brightness (1500 nits) 7” LED backlit LCD broadcast video field monitor housed in lightweight (600 grams) yet durable magnesium alloy case. Perfect for outdoor and on-set mobile monitoring when used with TVLogic’s wireless video transmitter and receiver packs. 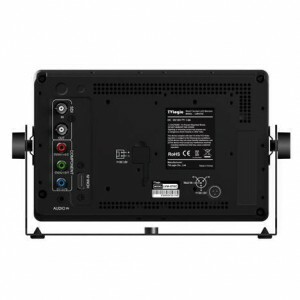 TVlogic LVM-095W UK List Price: £2,037 +VAT. 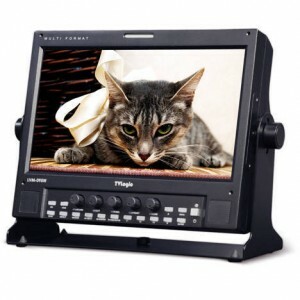 The TVLogic LVM-095W is a Full HD resolution, feature rich, 9″ 3G-SDI video monitor for field, studio or anywhere. 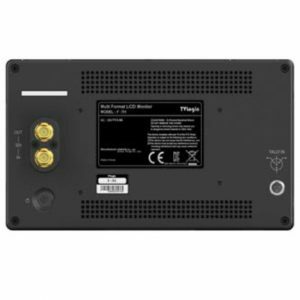 TVlogic LVM-095W-N UK List Price: £2,468 +VAT. 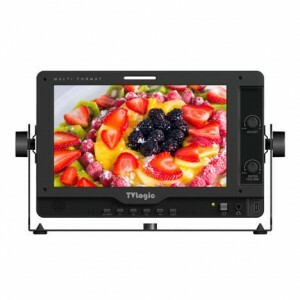 The TVLogic LVM-095W-N is a Full HD resolution, feature rich, 9″ 3G-SDI video monitor for field, studio or anywhere. 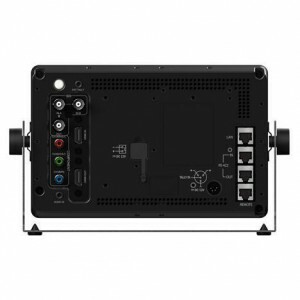 TVlogic SRM-095W UK List Price: £2,531 +VAT. This model is currently unavailable but has not been discontinued. 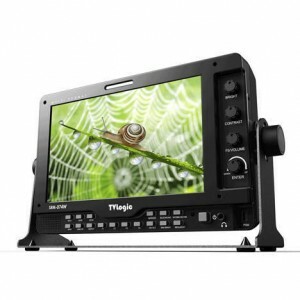 The TVLogic SRM-095W is a High Brightness Full HD resolution, feature rich, 9″ 3G-SDI video monitor for field, studio or anywhere. 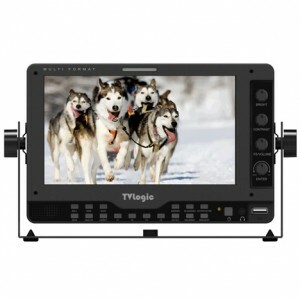 TVlogic LVM-173W UK List Price: £2,468 +VAT. The TVLogic LVM-173W-3G is a fully featured 17” premium monitoring solution for the most demanding applications on-set or in the studio. TVlogic LVM-176W UK List Price: £1,846 +VAT. The TVLogic LVM-176W is a fully featured 17” monitoring solution for the most demanding applications on-set or in the studio. 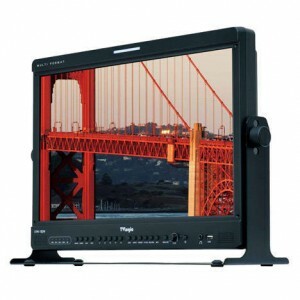 The TVLogic LVM-091W-M is a high-resolution, feature rich, 9″ monitor for field, studio or anywhere. TheTVLogic LVM-172WS is an excellent choice for professionals looking for affordable PAL/NTSC monitoring. It can be upgraded to HD (making it a LVM-172W) via an upgrade licence at a later date. The TVLogic LVM-172W is a fully featured 17” broadcast video display for non-critical broadcast and production monitoring. 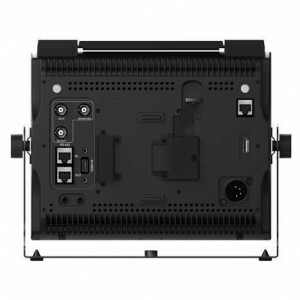 TVlogic LVM-182W UK List Price: £1,571 +VAT. 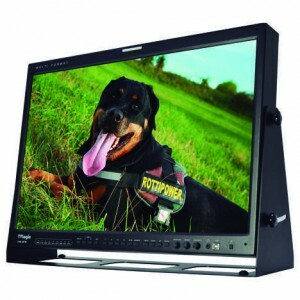 The TVLogic LVM-182W is a fully featured 18.5” broadcast video display for non-critical broadcast and production monitoring. 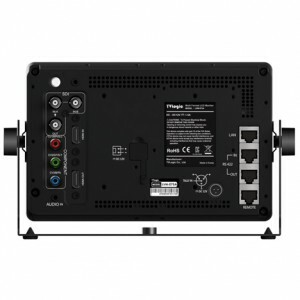 TVlogic LVM-232W UK List Price: £2,161 +VAT. 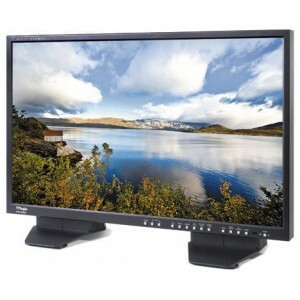 The TVLogic LVM-232W is a fully featured 23” broadcast video display for non-critical broadcast and production monitoring. 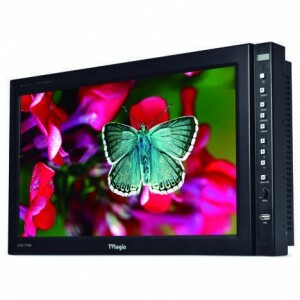 TVlogic LVM-232W-A UK List Price: £2,244 +VAT. 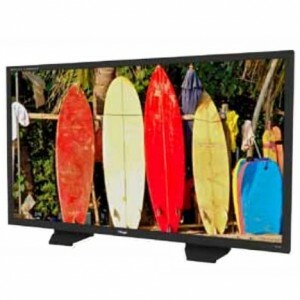 The TVLogic LVM-232W-A is a fully featured 23” broadcast video display for non-critical broadcast and production monitoring. TVlogic LVM-246W UK List Price: £2,842 +VAT. 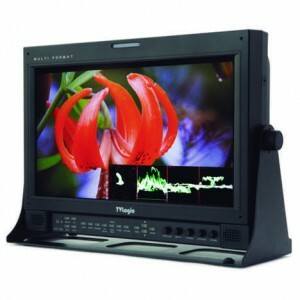 The TVLogic LVM-246W is a fully featured 24” monitoring solution for non-critical applications on-set or in the studio. TVlogic LVM-174W UK List Price: £1,846 +VAT. 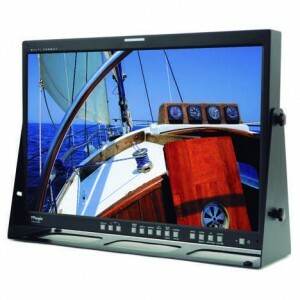 The TVLogic LVM-174W is a whole new design of 17″ monitor with a wide variety of mounting and configuration options. Built for rack mounting at 6RU height, the LVM-174W provides comprehensive monitoring for Control Rooms, television studios and OB Vans. 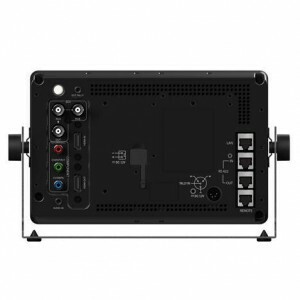 TVlogic LVM-212W UK List Price: £2,916 +VAT. 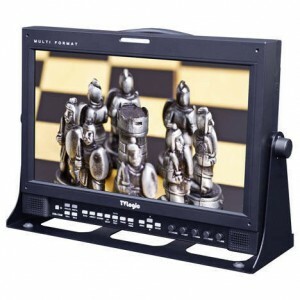 The TVLogic LVM-212W is a fully featured 21.5″ premium monitoring solution for the most demanding applications on-set or in the studio. TVlogic LVM-245W UK List Price: £4,187 +VAT. 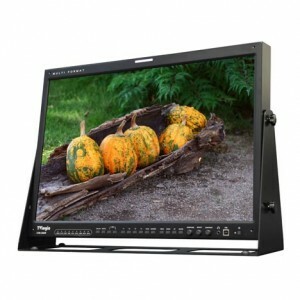 The TVLogic LVM-245W is a fully featured True 10-bit 24” premium monitoring solution for the most demanding applications on-set or in the studio. 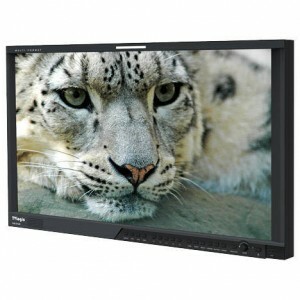 TVlogic LVM-327W UK List Price: £5,533 +VAT. 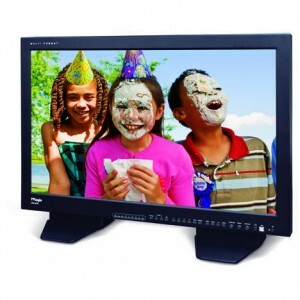 The TVLogic LVM-327W is a true 10-bit 32” premium monitoring solution for the most demanding applications. TVlogic LVM-328W UK List Price: £4,565 +VAT. 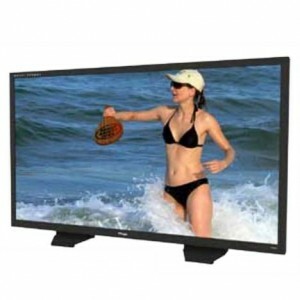 The TVLogic LVM-328W is a Full HD 32” monitoring solution for the most demanding applications. TVlogic LVM-420A UK List Price: £6,131 +VAT. The TVLogic LVM-420A features a native Full HD 1080p panel coupled with 3G & 4:4:4 dual channel support and TVLogic’s powerful scaling engine to give you the best picture quality for both HD and SD material. TVlogic LVM-460A UK List Price: £6,730 +VAT. The TVLogic LVM-460A features a native Full HD 1080p panel coupled with 3G & 4:4:4 dual channel support and TVLogic’s powerful scaling engine to give you the best picture quality for both HD and SD material. TVlogic LVM-550A UK List Price: £8,973 +VAT. The LVM-550A is designed specifically for ultra highend applications requiring the performance of the TVLogic LVM Series on a truly large scale display. 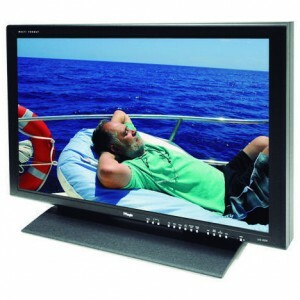 The 54.6’’ LVM-550A delivers an unrivaled combination of quality, performance and features. The TVLogic LVM-403W-3G features a native Full HD 1080p panel coupled with 3G & 4:4:4 dual channel support and TVLogic’s powerful scaling engine to give you the best picture quality for both HD and SD material. The TVLogic LVM-463W-3G features a native Full HD 1080p panel coupled with 3G & 4:4:4 dual channel support and TVLogic’s powerful scaling engine to give you the best picture quality for both HD and SD material. The TVLogic LVM-553W-3G features a native Full HD 1080p panel coupled with 3G & 4:4:4 dual channel support and TVLogic’s powerful scaling engine to give you the best picture quality for both HD and SD material.